With a population of around 75,000, Newcastle-under-Lyme is a market town in the north of Staffordshire. Located in a valley alongside the Lyme Brook in close proximity to Stoke-on-Trent, there is a wide variety of property in Newcastle-under-Lyme to suit many styles and budgets. At My Home Move Conveyancing we have been developing our knowledge and understanding of local markets since 2002, enabling us to deliver our clients in the area a specialist, fixed fee conveyancing service. If you are looking at buying or selling property in Newcastle-under-Lyme, you must instruct a lawyer to carry out the legal work on your behalf. 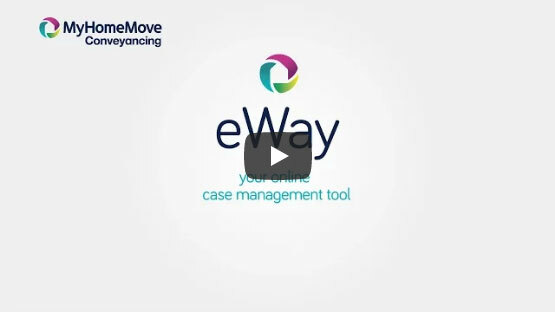 Let My Home Move Conveyancing complete this and take advantage of our award winning customer service, creative use of technology and detailed knowledge of the local market. Our conveyancing service is fixed fee with no extra hidden costs, meaning you’ll know exactly what you’re going to pay from the outset, with no hidden extras to worry about. Moreover, if you don’t end up moving for some reason, you won’t have to pay us anything. We assign each of our clients a dedicated conveyancer who will take care of your case from start to finish, providing you with a consistent point of contact and regular updates on your progress. At My Home Move Conveyancing we will utilise our expertise in local markets to assist homebuyers across the Newcastle-under-Lyme area, from areas such as Knutton and Bradwell, to Chesterton and Wolstanton with its golf course. The average house price in Staffordshire is £141,880. The overall average price of properties sold in Newcastle-under-Lyme during the past year is only slightly higher than this figure. Semi-detached properties proved most popular among buyers, selling for an average of £137,230, while terraces fetched £99,646. Detached properties went for an average of £229,150, while the relatively small number of flats sold for £133,510. Part of Newcastle-under-Lyme’s name comes from the castle that was built in the area in the 12th century, while the last part of the name could refer to the Lyme Brook or the Forest of Lyme, which was a much more extensive forest in medieval times. The area grew due to its silk and cotton mills, in addition to the hatting trade, and later coal mining, engineering, brick manufacture and iron casting. There are a number of parks that prove popular among locals, as does the traditional market that is held six days a week. Newcastle-under-Lyme benefits from a close proximity to the M6 motorway, which can be used to head south to Birmingham and north to Liverpool, Manchester and Carlisle. The closest railway station lies between Newcastle-under-Lyme and Stoke-on-Trent, which offers a great location in terms of train travel. Manchester Piccadilly can be reached in under 40 minutes, Birmingham New Street in 50 minutes and London Euston in an hour and a half. There is a range of excellent schools in the area that families with children should find appealing. Primary options include St Thomas Aquinas, Hassell and Hempstalls Primary, while Blackfriars School and Newcastle-under-Lyme School on Mount Pleasant are among the secondary choices. Newcastle-under-Lyme College provides further education, while the University of Keele is found just a few miles from town. All properties in Newcastle-Under-Lyme will fall within one of the following council tax bands.